Friable - this type of asbestos is the most dangerous as it is easily dispersed, say in powder form, so the fibres are released into the atmosphere. Sprayed asbestos insulation is an example. Non-friable - this type of asbestos is less dangerous in that is. Your asbestos removalist needs to be licensed for the project they are undertaking for you.. If you are unsure if an element in your home has asbestos, you can have a sample tested by an accredited facility. A licensed asbestos removalist will be able to conduct this for you. Asbestos licensing in NSW is regulated by the WorkCover Authority of NSW. Friable asbestos work must also be supervised by an asbestos removal supervisor, while non-friable asbestos work must have a supervisor available. The work area is also required to be barricaded and appropriate signage posted. Neighbouring properties are also required to be notified of any asbestos removal work being undertaken. Asbestos can only be disposed of in designated sites. Operators who are involved in this work must also wear personal protective equipment (PPE) including respiratory protection. Use the licence check facility on this site to check your asbestos removalists licence. It must be current and valid for the type of work you need to have done. In addition licensed removalists must appoint one or more supervisors to oversee removal work. Licence holders are also required to notify WorkSafe prior to any asbestos removal work is undertaken. Operators who are involved in this work must also wear personal protective equipment (PPE) including respiratory protection. Asbestos removal and handling in Queensland is regulated by Workplace Health & Safety Queensland. This licence is for businesses removing any amount of friable asbestos. In addition holders must ensure the removal of friable asbestos is directly supervised by a nominated supervisor. This licence only covers work for the removal of more than ten square metres of non-friable asbestos or any asbestos contaminated dust or debris associated with the removal of more than ten square metres of non-friable asbestos. In the ACT the Planning and Land Authority (ACTPLA) governs licensing of asbestos removal, specifically the handling, removal and disposal of this toxic material. Applicants are required to have prescribed qualifications, training and work experience to obtain this type of licence. Removal of and disposal of friable and non-friable asbestos is regulated by SafeWork SA in South Australia. Class A (Unlimited) - removal of any type of asbestos. Class B (Limited) - removal of asbestos cement products (fibro) and non-friable asbestos (floor tiles) only. 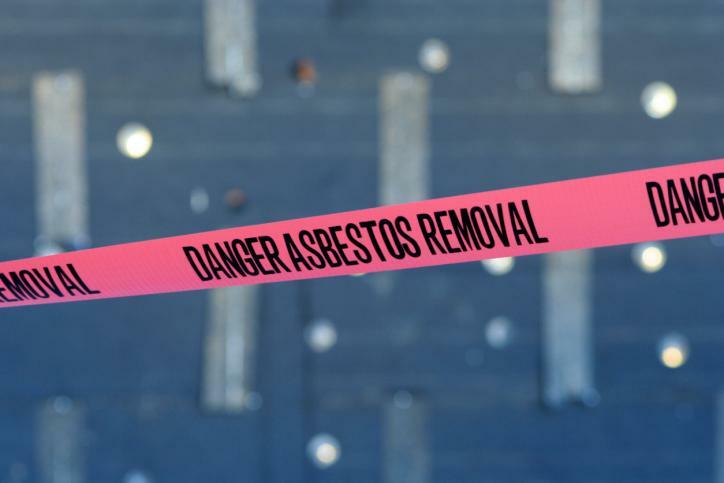 Removal of and disposal of asbestos is regulated by WorkSafe Tasmania in this state. Removal of and disposal of asbestos is regulated by the Department of Commerce in Western Australia. Unrestricted - remove all types of asbestos (friable and non-friable). Restricted - remove amounts greater than 10 square metres of non-friable asbestos. Removal of and disposal of asbestos is regulated by NT WorkSafe in this territory. Class A - remove all types of asbestos (friable and non-friable). Class B - remove amounts greater than 10 square metres of non-friable asbestos. Supervisors - must be present at all times whilst asbestos removal work is being carried out for both above classes.